Anyway, Katou Kiyomasa could beat Kenshin anyday. Kenshin was the 'Tiger of Echigo'. Kiyomasa used a Tiger as a seat cushion. Getting back to what Domer was talking about, there are plenty of "cool" and exciting characters in Japanese history, but most of them had *major* personality defects. You don't generally get to be a major daimyo without a boatload of ruthlessness at the bare minimum. It's tough to think of many historical personages I'd actually want to hang out with. Yo, I'm totally with you on this! Kiyomasa would have made toothpicks out of Uesugi Gackt's yari! Kiyomasa was one mean mo-fo. I mean, the man could have prevented Sekigahara if he had actually gone ahead and done away with Ishida Mitsunari in Korea as he wanted to. Too bad he was too busy fighting the Koreans and the Ming to re-initiate sengoku period hostilities while on Korean soil. I would have loved to see him send Mitsunari's head back to Hideyoshi! It should also be mentioned that our man Kiyomasa even skirmished with the Jurchens (Manchu) when he crossed into Chinese territory during the first Korean invasion that started in 1592. Although the fighting with the Jurchens was inconclusive, Kiyomasa had some cajones the size of the tiger he personally took down. Uesugi Gackt was too drunk to ride in the saddle most of the time. Besides, he liked playing with ninja in the outhouse! That's what I'm talkin' 'bout! Kenshin was all "I do not fight wars with salt," and my boy Kiyomasa woulda been all "Salt in yo EYEZ, beeyotch! Im in ur base, killin ur doodz!" Surely you jest! Kato was nothing more than Hideyoshi's 'punk', and was a master of whining about how unfair everything was (must be that wacky Nichiren slant going on). If Kato was in a yakuza movie, he wouldn't even be a second rate enforcer. Kenshin, on the other hand, lived to drink and screw around with Takeda Shingen's head. How kewl is that? Of course, his mystique is somewhat dimmed by that whole celibacy thing. Not to mention the 'Kenshin was a woman' rumors. And a drunken woman at that. All in all, Kenshin would be pounding salt up Kato's...well, you know. That is, if they didn't decide to go off drinkin' and killin' together. Tigers. Spear. Thug life, yo. Isn't Kenshin usually the 'Dragon Of Echigo' and Takeda Shingen the 'Tiger Of Kai'? Come to think of it, though, I've seen Kenshin called both. Comparing Kiyomasa with Kenshin... Can't say I would even try really. I like them both for different reasons. 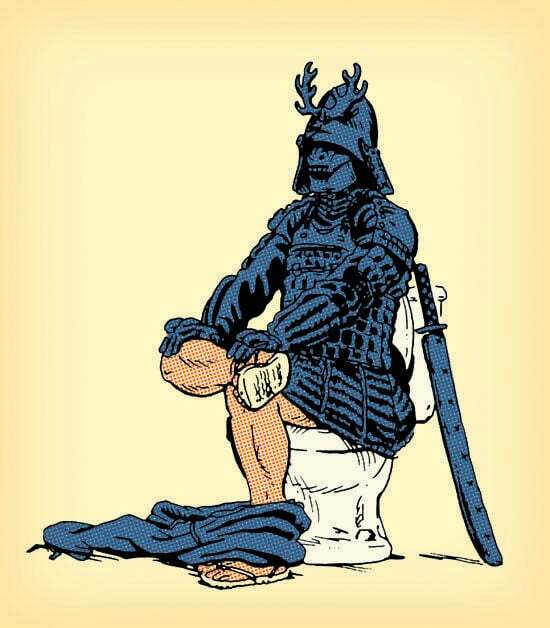 I look at samurai, like I look at everything. I don't like one more than another really. I'm more interested in... well... what Kitsuno said, the big picture. I can't say I really like Kenshin or Shingen or whoever more than anyone else. So many people did amazing and interesting things. I mean, domer pointed out, that Kenshin had faults just like everyone does(although I don't agree that drinking too much is a fault ). If you're asking would Kenshin beat Kato in a duel, I would put my money on Kato though. Kato hunted "Tigers" in Korea. It doesn't matter how tough you are though when it comes to power. Kenshin was a big shot and Kato wasn't. A better comparison is Kenshin and Takeda. I would put my money on Shingen in a battle any day over Kenshin. If Kenshin didn't die and he tried to battle Oda, he would have died a little bit later anyway. He got off easy. This is just to clarify things as I am not interested in a debate or running battle on this topic. In case anybody wasn't able to tell, we Tokyo-based *Baka Boyz*, with some help from Evalerio and Tatsunoshi, were just goofing around and having some fun with the whole Kenshin mystique. Don't read into this. You can't really say who would have won if Kenshin's troops had clashed with Kiyomasa's as it never happened-- and such a clash would have been highly improbable even if history didn't play out the way it did. It's like saying that if Musashi and Jubei did fight, who would win? And let's not even go down this path! The only hint of seriousness in my above thread was my desire to see what would have happened *IF* Kato Kiyomasa had indeed gone after Ishida (and Konishi) in Korea. That would have been kewl! like saying that if Musashi and Jubei did fight, who would win? And let's not even go down this path! It's like saying that if Musashi and Jubei did fight, who would win? And let's not even go down this path! ...why, oh why did you have to say anthing about this? For the LOVE OF GOD! I said let's not go down this path. So look at this way--if someone is willing enough to fall into this sammyrai trap, it exposes that person for what they are. More importantly, a discussion on this subject is sure to get Wave excited, and that is always fun to watch from a safe distance! I totally don't want this nickname to stick. Actually, if you really, truly want to know: I could beat the living crap out of BOTH Musashi and Yagyu Jubei!!! Believe me, I know you could! I've seen dead Musashi fight pretty well... Makai Tensho. Aaaaahhh, only a slight disadvantage!!! Ah, the power of Wabu Tossudo's unique three-pronged Devil Attack!!!! Funny that no one yet has mentioned Kenshin's rampant alcoholism to the Kenshin fanboys here. His penchant for tigercide made him cool yes...but those hats he always wore...the very epitome of COOLNESS. The closer I get, the further away I am. Honestly though, I think Gochin no Tajima would have pwned them both...at the same time.